CONFLEX permits fast, accurate, automated conformation searching and analysis critical to drug discovery and chemical engineering. Unique to CONFLEX is its capability to completely search the conformational space of a flexible molecule to find every optimal structure of chemically significant conformers. CONFLEX is not limited to finding only locally-optimized structures that depend on an initial structure input by the user. CONFLEX recognizes the molecular structure automatically and identifies a ring and side-chain structures. Then CONFLEX applies three local perturbation methods to generate new conformations: Corner Flap and Edge Flip for the ring structure, Stepwise Rotation for the side chains. These all new structures are geometry optimized and store them to the database. One of the goal of conformation searching is to find global minimum structure. But in the case of the molecular structure is very flexible, huge number of conformers would be generated. For that reason, CONFLEX employs the reservoir algorithm to generate a new structure from a stable structure at all time, and a range of search limit to search conformers. With these algorithm and limitation, CONFLEX can avoid an explosive growth of conformation number. CONFLEX can generate crystal structures automatically from a molecular structure and symmetrical operations defined by specified space groups. CONFLEX optimizes the crystal structures and search minimum energy structures exhaustively. Also, CONFLEX can rank the crystal structures according to their crystal energies or simulated powder X-ray diffraction data. CONFLEX can constrain partially when geometry optimization. If Gaussian program is installed to a computer with CONFLEX program, CONFLEX can invoke Gaussian to optimize and search conformers of a molecule. With this feature, CONFLEX can handle molecule lacking force field parameter(s) and electronic states which cannot treat by the molecular force field. DRC is molecular dynamics calculation method using initial velocity vectors calculated from normal vibrational modes. This feature is applicable to configuration changes between multiple molecules or conformation changes of a large molecule. CONFLEX had the feature named Host - Ligand coordination search. This is used for specifying energetically stable configurations of complex or molecular cluster. GB/SA calculation is applicable to geometry optimization, vibrational analysis and conformational search. In addition, a logP value is calculated automatically. User can customize force field parameter(s) for molecule lacking parameter(s) or modify the existing parameter(s). The user-customized parameters are only for MMFF94s parameter set. 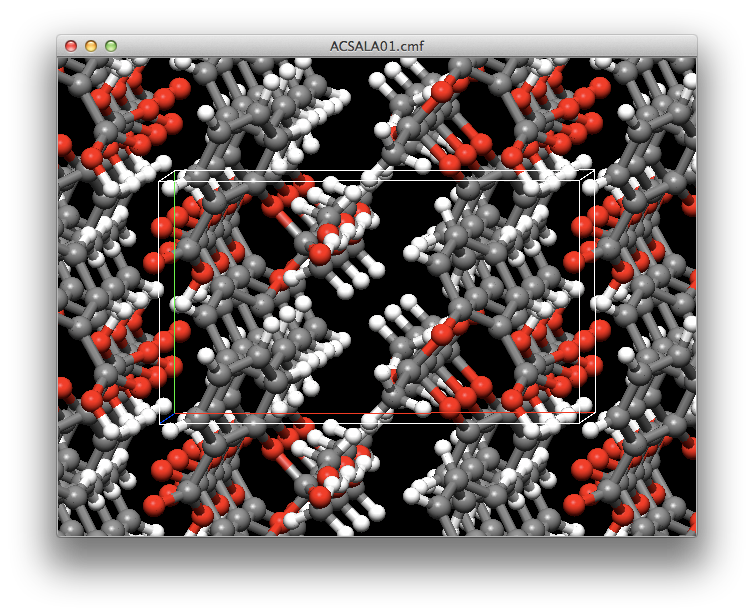 CONFLEX can simulate CD/UV/Vis spectrum with conformers.